The eight-week summer holidays, which begin this month in India for most schools, evoke contrasting emotions in parents and children. While children are ecstatic about the break from stressful school routines, parents especially in nuclear households, tend to worry about keeping children busy and out of harm’s way during the long vacation period. 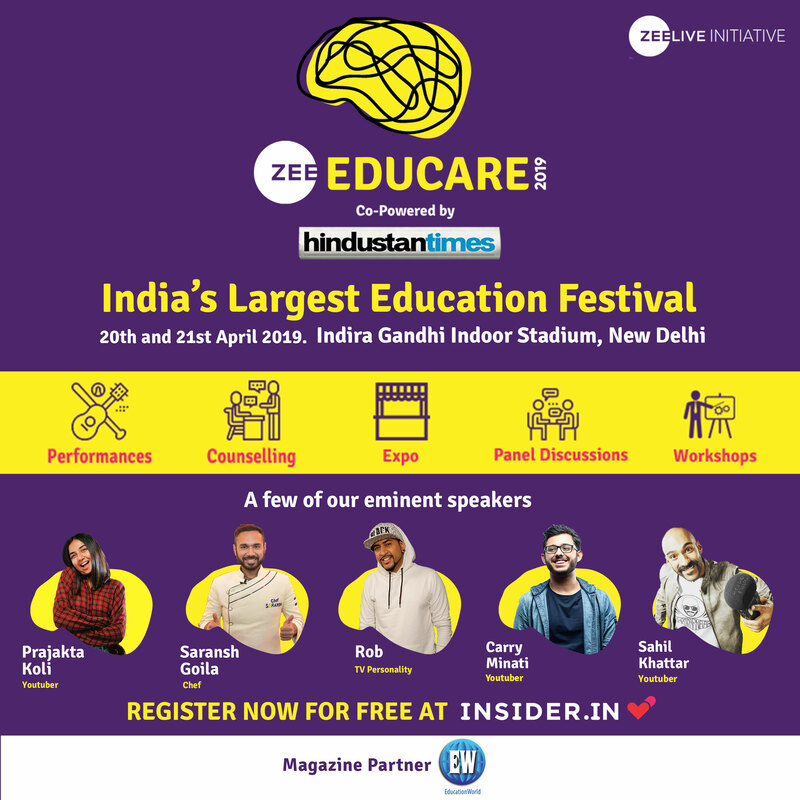 Though in post-liberalisation India, a host of professionally organised summer camps and activities are available, these camps are mostly of 10-15 days’ duration and pose the omnipresent danger of life-threatening injury to boisterous young children. 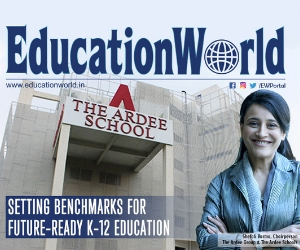 Moreover, there is rising disenchantment with hurtling children from one summer class to another to learn languages, music, theatre and similar hitherto trendy extra-curricular activities. Latter day literature on child development extols the virtues of boredom (see box p.12) and recommends participation in community improvement rather than self-improvement, activities for children. 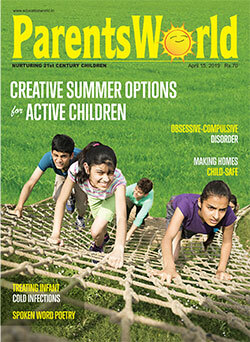 Therefore, to provide millennial parents options beyond signing up their progeny for normative summer activities, ParentsWorld presents some enjoyable, creative, off-the-beaten track indoor and outdoor activities for children in the summer holidays. This newly emergent surface water sport is becoming popular among urbanites the world over. It involves an oversized surfboard or paddleboard which a rider propels in a sea, river and/or lake. The rider can opt to stand or kneel on the board while paddling. 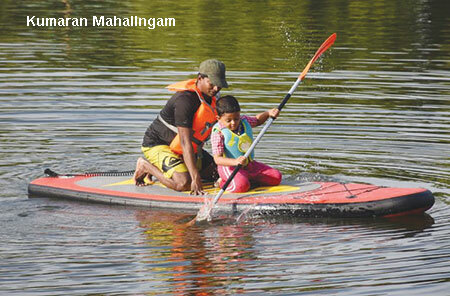 “Paddle boarding is an adventure water sport which children love. Through Paddle for Future, I want to popularise this sport which strengthens arms and upper body muscles among children and youth, while simultaneously highlighting the importance of conserving water bodies,” says Kumaran Mahalingam, geologist and founder of the Chennai-based Paddle for Future (estb.2016). An accomplished stand-up paddler and environment conservation educator, Kumaran has earned three entries in the Limca Book of Records between 2014 and 2016 for various feats in stand-up paddling. Kumaran, who has “taught people from six to 85 years of age”, is conducting paddle boarding summer camps on River Kollidam near Chidambaram, Tamil Nadu. Dates: April 15-end May. Contact: +91-99710 91541, +91-95782 12910. Invented in Sweden, plogging combines the popular sport of running for health (jogging) and picking up litter (Swedish: plocka upp). In 2016, Swedish environmentalist Erik Ahlstrom became aware of rising piles of litter, particularly plastic waste, on Stockholm’s roadsides. Responding to this phenomenon, he began organising groups of people to bag plastic waste and trash while jogging. Since then, this eco-friendly workout which combines jogging with clearing non-biodegradable plastic waste, has become popular worldwide with plogging clubs and groups mushrooming in urban habitats. In India too, some environment groups have begun organising plogging runs. For instance, Indiahikes, Bangalore, organises Green Trails in the Himalayas where trekkers have to clean-up plastic bags increasingly littered in hiking trails and picnic spots en route. 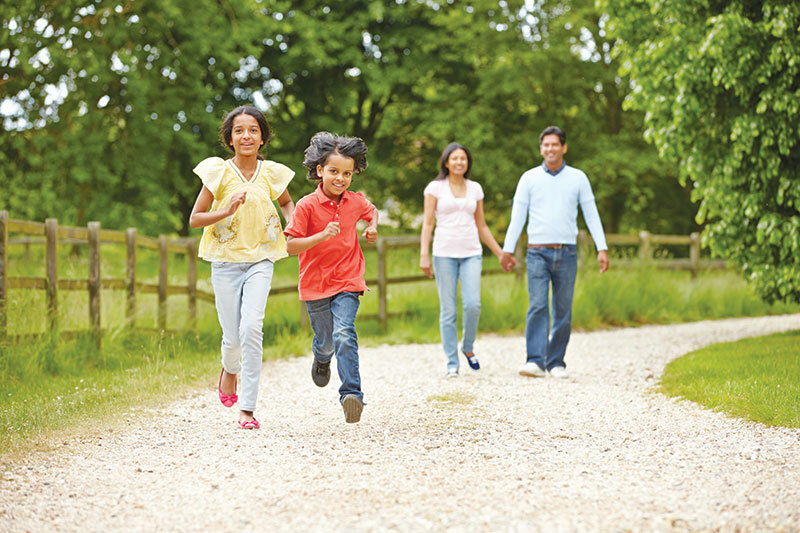 The summer holidays offer a good opportunity for parents to encourage children to organise plogging runs in their neighbourhood. Summer vacations offer a great opportunity for family bonding. We recommend you plan a family holiday to at least one of following 5 must-see destinations in India. Moreover, this may be your last chance to visit them as they are in danger of extinction because of continuous climate change and environment pollution damage. Sunderbans. A protected Unesco World Heritage habitat, Sunderbans is the world’s largest mangrove forest. 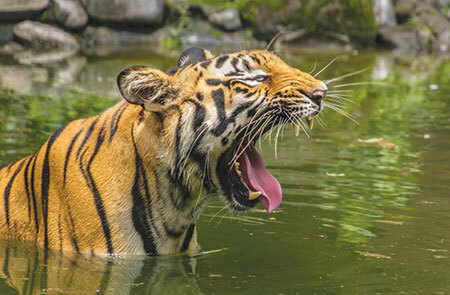 A mere 100 km by road from Kolkata, it hosts 400 plants and bird species, and a vanishing variety of wildlife including tigers, snakes, and crocodiles. Due to global warming which has melted the polar ice caps and raised sea levels, four of the 102 islands of the Sunderbans have already disappeared under water. Chadar. Reputedly one of the most arduous trekking trails of India, traversing the 105-km Chadar trail in Leh (Jammu & Kashmir) is a thrilling experience. It follows paths across the frozen Zanskar River, which is on the verge of disappearing because of climate change. 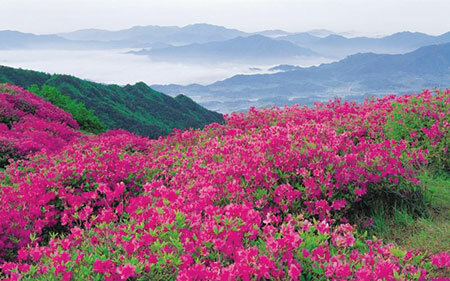 Valley of Flowers. Set against the backdrop of the Zanskar range in Uttarakhand (309 km from Dehradun), the 87 sq. km valley is replete with verdant meadows and cascading waterfalls. It was discovered in 1931 by mountaineer Frank S. Smith. Majuli. One of the largest river islands of the world, Majuli (346 km from Guwahati, the admin capital of the north-eastern state of Assam (pop. 30 million)) is lush green and rich in wildlife. However, the prediction is that this wonder island will vanish in a few decades because of flooding and land erosion. The river island once measured 1,200 sq. km, now it has shrunk to 400 sq. km. Taj Mahal. Visited by 8 million tourists every year, the Taj Mahal, Agra (233 km from Delhi) is rightly one of the seven wonders of the world. Conservationists are warning that this majestic marble ode to love may crumble by 2050, because of continuous air and water pollution. • Practice with one ball. Hold your hands before your stomach; toss the ball with one hand and catch it with the other without moving your hands too far apart. • When you have mastered this, practice with two balls. Throw one to a spot above the other hand, and toss the next ball when it reaches the highest point. • When you are able to do this, try three balls. 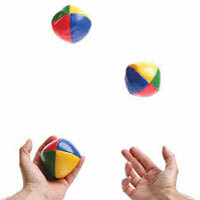 Toss the first two balls as detailed above, and when the second ball reaches the highest point, throw the third ball. • You could also experiment with scarves and other objects. This is a circus art children love. The spinning plate comes with a long stick. Learning to spin involves letting the inner rim on the lower part of the spinning plate hang on your stick. • Hold 3-4 rotating plates at the same time. 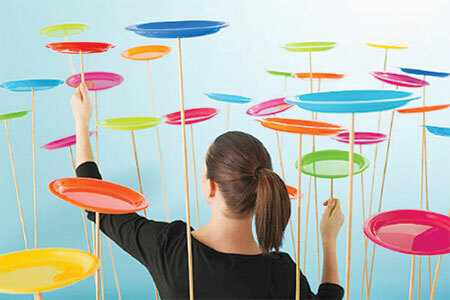 Use one hand to get each plate spinning and pass it to the other hand. • Balance a spinning plate and stick on your forehead, finger, leg or palm. • Pass the spinning plate around your body or under a leg. There are several youtube videos demonstrating this art. In the wake of rising public interest in civic heritage and cultural diversity, several organisations in India’s major cities organise heritage walks to enable locals and tourists to explore their city’s hidden history, cultural diversity and architectural landmarks. For instance in the national capital, India City Walks conducts heritage walks through Delhi’s old bazaars, historical monuments, gardens and heritage buildings. “There’s no better way to experience a city than to get on your feet and just walk through its streets, lanes and bazaars. Our walking itineraries are carefully mapped to enable citizens to learn about their city’s history, culture and diversity. 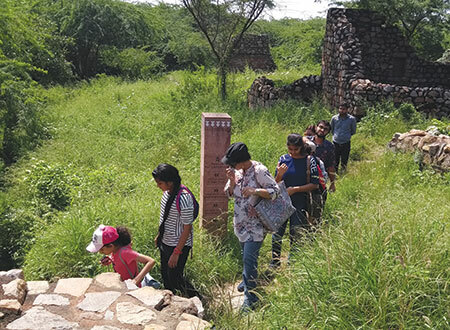 For children, these walks are particularly enjoyable experiences,” says Dr. Sachin Bansal, the Delhi-based founder of India City Walks (estb.2014) which conducts heritage walks in several cities countrywide including Old Delhi, Jaipur, and Bhopal. Warm summer evenings are perfect for outdoor community movies. Use your apartment building and/or garden wall as screen and hire a projector and sound system to broadcast children’s movies. 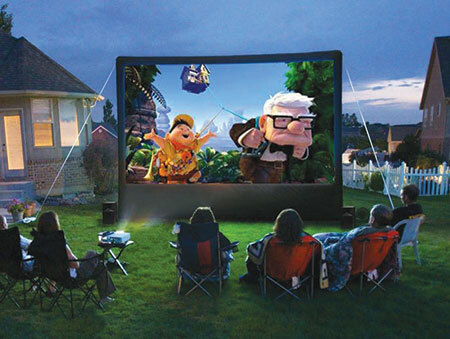 If the building wall cannot be used, throw a white bedsheet over two trees or bushes in the lawn/garden to project movies. Involving children across the entire spectrum of associated activities — choosing the venue, issuing tickets and arranging the seating — is an enjoyable cooperation and project management experience. With the mercury in several cities of the plains set to shoot up to 45oC, it’s advisable to persuade children to play and have fun indoors. Write a list of all the games, activity sets, craft kits, and books available at home. Assign them the task of utilising them at least once during the summer holidays. Moreover, if they have outgrown any activity set, encourage them to donate or gift it. The list could include sports and games, eco-friendly and outdoor activities, community service, and more. Roll up each paper with the idea written on it and tie it with a ribbon, or just fold it and drop into a transparent jar or box. Every morning during the summer break, ask your child to pick a chit and complete the recommended activity for the day. 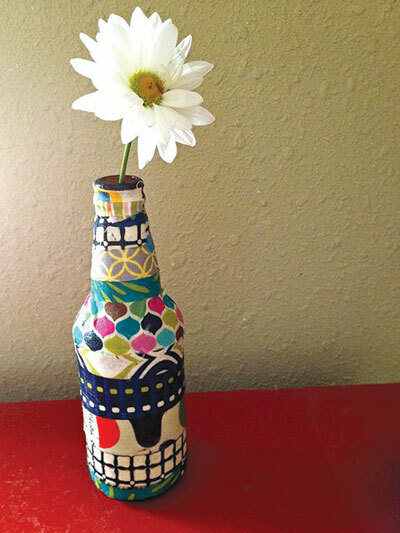 This is a great way to upcycle a glass bottle and would also make a great summer gift for grandparents. • Wash the bottle or jar by soaking in hot water and peeling off any labels. Leave to dry. • Cut up the scraps of paper… for variety, use brown paper book covers, gift wrapping paper, magazine cut-outs, newspaper bits etc. • Brush a thin layer of glue onto a section of the glass surface. • Stick one of the paper scraps onto the bottle, and smooth out the creases by applying another layer of glue over the top. • Repeat till bottle is completely covered. Dry for 1-2 hours. 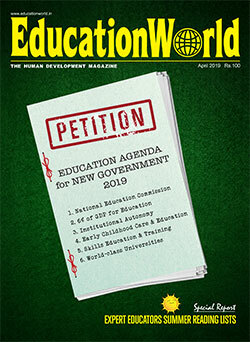 With most middle class homes equipped with computers and printers, designing and publishing a neighbourhood or community magazine is an enjoyable and creative learning activity for children. Help your child put together an editorial team of neighbourhood friends to take on the roles of reporter, sub-editor, editor, and graphic designer. Purchase some popular children’s and other magazines for studying design, layout and help them to choose a theme, ideate stories, conduct interviews, write, edit and design a magazine. Apart from distributing print copies in the neighbourhood, the online version could be emailed to distant friends and family members. In India’s long, hot summers, thousands of birds of all types and species perish because they can’t find drinking water. Rampant, ill-planned urbanisation has destroyed their natural habitats — trees, marshlands, gardens, ponds etc. Children who invariably love these charming feathered creatures will be only too glad to rush to their rescue. Encourage children to build bird feeders and bird baths to transform your home into a nature-friendly haven. The chances are your children will transform into compassionate animal rights activists and environmentalists as they learn about how avian species help to preserve nature’s balance. • Screw the hook into the centre of the bottle cap ensuring it’s firm and tight. After the hook is fully inserted, seal both sides (inside and out) with a drop of glue to keep out moisture. • Cut holes on either side of the bottle — 1.5 inches from the bottom and large enough to accommodate the small thick sticks. • The sticks should fit snugly into the holes and extend completely through the bottle and extend on either side of it. 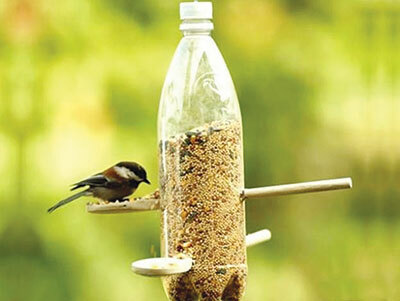 These extensions on either side of the bottle serve as perches for birds to feed comfortably. Apply glue to secure perches and stop the aperture from widening. • Cut feeding holes of 1-2 inches above each perch. Ports should be 1/8-1/4 of an inch wide depending on the seed type; use larger holes for mixed and sunflower seeds and smaller holes for millets. Oval-shaped holes taller than they are wide make it easier for birds to feed. • Insert crumpled paper, marbles or gravel at the bottom of the feeder so less seed is below the feeding ports and out of reach. Now, fill the feeder slowly with seeds. • Hang the feeder on a balcony or tree nearby. • Place the pot on the bricks and strew bird seed around. 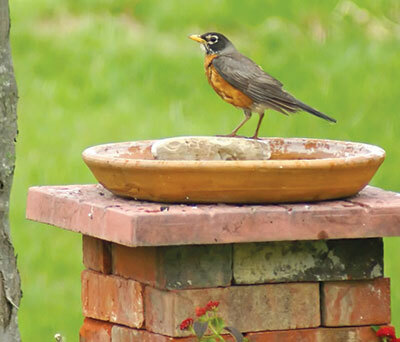 This will attract birds to your bird bath! String up the feeder on your balcony, and place the bath outside your terrace door. Only a small space is required to build a welcoming habitat which will make you chirpy feathered friends. Thaasophobia or the fear of boredom, is a contagion in contemporary society. Therefore, too often parents overwhelm children with constant activity — hobby classes, widgets and gadgets, music, swimming, tennis, lessons etc. But contrary to popular belief, spells of boredom and masterly inactivity interregnums are beneficial for the cognitive growth and development of children. The great British philosopher, peacenik and polymath Bertrand Russell (1872-1970) attributed the development of his unquestionably inquisitional, free-thinking and creative mind to lonely summers spent on his parents’ country estate where he had plenty of time to observe flora, fauna and insects, and dwell upon great questions of philosophy and mathematics. More contemporary research studies indicate that in periods of boredom and inactivity, certain other regions of the human brain — known as the default network — become active and connect unrelated thoughts and sort information. This is confirmed by research scholars Teresa Belton and Esther Priyadharshini of East Anglia University, UK. In a paper published in the Cambridge Journal of Education (2007), they contend that boredom must “be recognised as a legitimate human emotion that can be central to learning and creativity”. The best example of boredom prompting genius is Albert Einstein. As a 26-year-old bored clerk at the Swiss Patent Office in Bern, Switzerland, Einstein wrote five scientific papers, including the Law of Photoelectric Effect (which won him the Nobel Prize) and the historic Theory of Relativity which revolutionised science. So don’t pack your children’s summer vacations with day-long activities!